I’ve only recently started listening to Wes Montgomery (who would have turned 89 this past Tuesday). My knowledge of jazz guitar in general is pretty limited—I love Grant Green, Joe Morris and Sonny Sharrock, three players who couldn’t really be more different from one another, but there are dozens of other notables and even legends whose work has just never made it to my ears. Only so many hours in the day, after all. Still, when I was sent last year’s five-CD box, Movin’: The Complete Verve Recordings, I dove in up to my neck. That’s not the period of Montgomery’s career that’s placed in the highest regard by fans, I understand. His Riverside recordings of the late ’50s and early ’60s, with which I remain unfamiliar, are judged to be his peak. Still, there’s plenty of hot stuff on Movin‘. The album Movin’ Wes is a terrific blend of stinging guitar and full, rich big-band/orchestral arrangements, for example, and the material done in partnership with organist Jimmy Smith can also be pretty killer at times. The albums that followed Movin’ Wes, though, many of which juxtaposed standards with watery versions of pop tunes of the time like “California Dreamin’,” “Goin’ Out of My Head,” “What the World Needs Now is Love,” and even “Tequila,” are substantially weaker variations on the theme. The orchestral arrangements become simultaneously blander and more overbearing, and even Montgomery seems dispirited at times. Echoes of Indiana Avenue, though, is a very different thing. (Buy it from Amazon.) A single disc of material—some studio, some live—recorded in 1957 and 1958, before he had even signed with Riverside, it includes versions of eight jazz standards by Horace Silver, Erroll Garner, Thelonious Monk (both “Round Midnight” and “Straight No Chaser” are essayed here), Billy Strayhorn and Shorty Rogers, as well as versions of “Darn That Dream” and “Body and Soul,” plus one improvised blues to close things out. It’s energetic, hard-swinging material, played by groups that, on one track (the version of “Straight No Chaser”), include Montgomery’s two brothers, pianist Buddy and bassist Monk. Four cuts—”Diablo’s Dance,” “Round Midnight,” “Nica’s Dream” and “Darn That Dream”—are studio takes, presumably (though nobody really knows for sure) recorded as demos to help the guitarist get a deal, which he did, with Pacific Jazz, in 1958. The others, including the performance by the three brothers, are all live and, again, of more or less unknown origin and purpose. They’re listed here as being from the Hub-Bub, a black club in Indianapolis. The group—pianist Earl Van Riper, bassist Mingo Jones and drummer Sonny Johnson—burns through a fast, stark version of “Take the ‘A’ Train,” then simmer through two ballads in a row, “Misty” and “Body and Soul,” before closing out the disc with a drumless blues improvisation (during which the drummer takes a break). 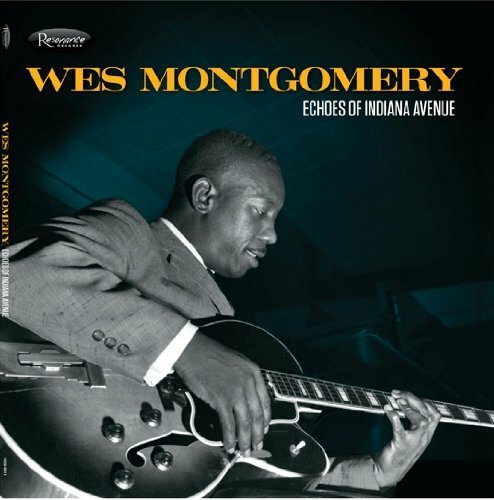 Throughout, Montgomery’s attack and tone are much more fierce than he ever musters on the recordings I’m familiar with, and his solos on what’s called “After Hours Blues” and “Body and Soul” in particular get quite stinging, at times recalling the near punk-rock explosiveness of Chuck Berry‘s classic recordings. Sure, the relatively primitive recording conditions give the music an extra edge, but there’s a raucous, late-night energy in the playing that’s both overpowering and impossible to resist (as can be heard from the enthusiastic, vocal crowd response to both the guitar and piano solos). This shouldn’t be anyone’s first Montgomery purchase, by any means. But it’s much more than a footnote to his discography, and it’s certainly inspired me to continue exploring his work.